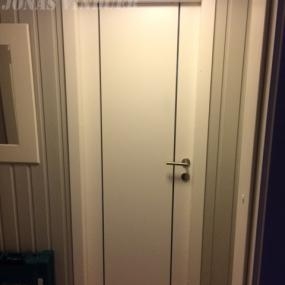 It is difficult to imagine a house without doors and windows. 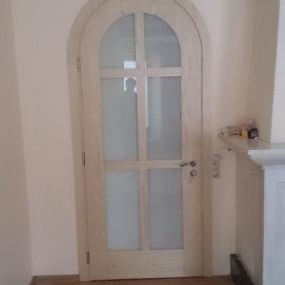 Our fine wooden inside door is a high-quality production. 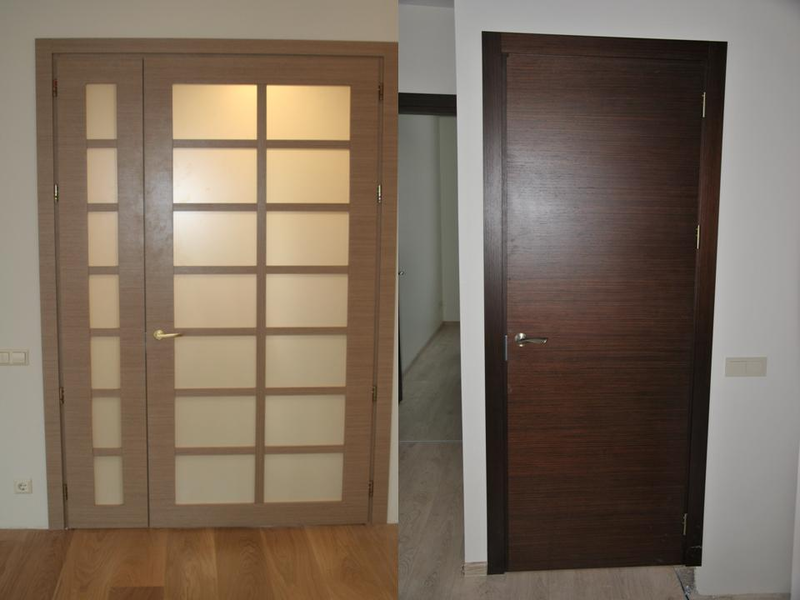 Nowadays, it is possible to design style, finish and measurements almost only by Yourself. Our company uses new technology machines and quality materials. 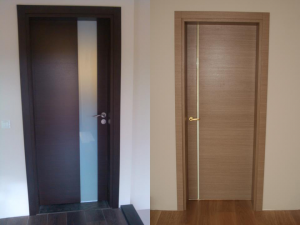 As a result, we offer durable and strong inside doors. 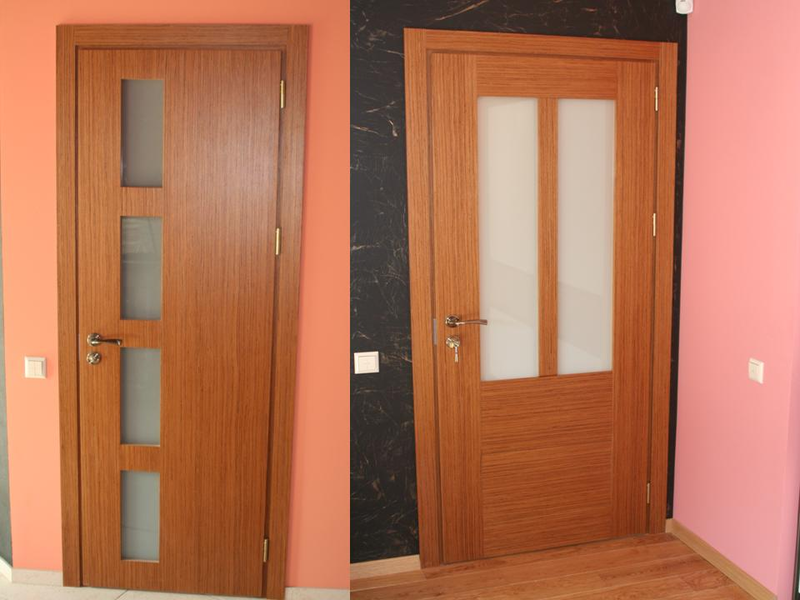 Wooden inside doors are made of a natural wood structure and with laminated wood imitation on it. In fact, the surface can be painted or grain, it’s Your choice. 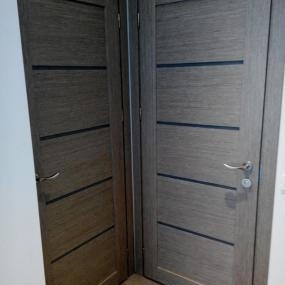 The wood colour imitation is one of 1000 types of veneer surface. 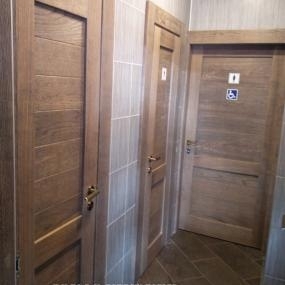 We are pretty sure You will find Your favourite wood imitation. 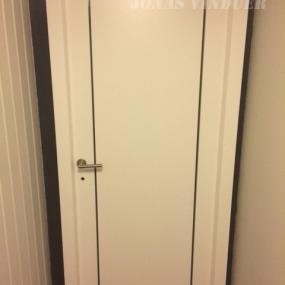 We offer complete inside doors with frame around. Besides, collars from both sides, handles and keys with/without step are available. Generally, a totally complete set. 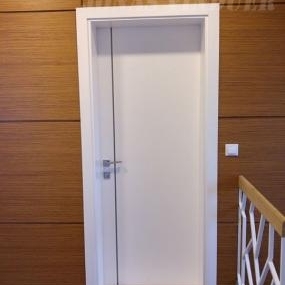 Apart from this, our company produce doors with a step. This is for a better sound and warmth isolation. When we produce a step, we use a real oak wood. 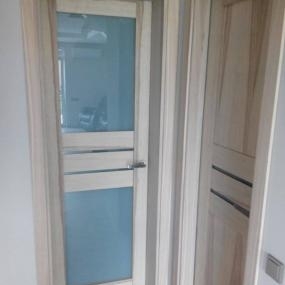 The frame of the inside doors is produced by Your wall thickness, so we are sure it will perfectly fit it. 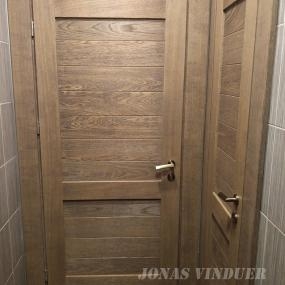 The main production material is wood, not a “paper”, like a major part in the inside doors’ market. Accordingly, the doors will be reliable and long serving. 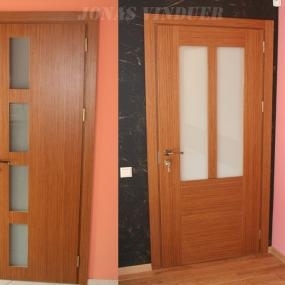 Normally, the customer chooses any style of the wooden inside doors or makes his own project. Trapezium shape is also possible, inward or outward opening. 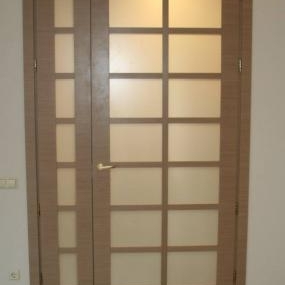 The most part of orders includes clear or matted (frosted) glass in the doors. 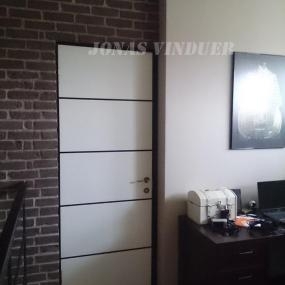 In fact, customer’s custom design is acceptable! other small details (keys, step and etc. ).